Camila Cabello just announced her first ever headlining tour for Spring 2018! She’ll be hitting major cities in North America through April. Pre sale tickets are on sale now, while general public tickets go on sale Friday February 16th. Camila’s debut solo album has been topping charts since the January release and we can’t wait to hear the album come alive this Spring! VIP packages are also available and include a GA show ticket, limited edition exclusive merch, a meet&greet with Camila, and more! Check out the dates below and grab your tickets before they sell out. Watch Camila perform “Never Be The Same” on Jimmy Fallon below. Grab a copy of “Camila” on iTunes or Amazon so you can sing along on tour! Be sure to follow Camila Cabello and Secret Fangirls on Twitter. Just before the release of his debut album, Shawn Mendes premiered the official video for his new single “A Little Too Much.” The video is simple: just Shawn, his guitar, a piano, and an empty theater. Preorder “Handwritten” on iTunes or get the deluxe edition from Shawn’s official store that includes a 60 page book filled with handwritten lyrics, exclusive photos and 3 bonus tracks! Shawn just added a date in San Francisco on his first headlining tour. Tickets go on sale Saturday February 7th at noon PST. The first 50 people to purchase tickets will receive a meet & greet with Shawn! Follow Shawn Mendes & Secret Fangirls on Twitter for the latest on your favorite artists. Sam Hunt just announced his first headlining tour, kicking off in West Hollywood in January! And, best of all, he’s making a stop in NYC! (Loyal Secret Fangirl readers will know this is a huge deal for us.) We love how Sam’s unique mix of country and R&B influences blend into his distinct sound. He’s also an incredibly fun artist to watch live. Even on his opening spot on the “Up In Smoke Tour,” the whole crowd was singing along. You don’t want to miss this one – Sam’s single “Leave The Night On” has gone platinum, and his first album “Montevallo” debuted at #1 on the country charts. He just sold out his first headlining show on Long Island next week, and we’re sure he’ll be selling out arenas one day. Pre-sales start Wednesday Nov 12th, and general on sales begin Friday Nov 14th! 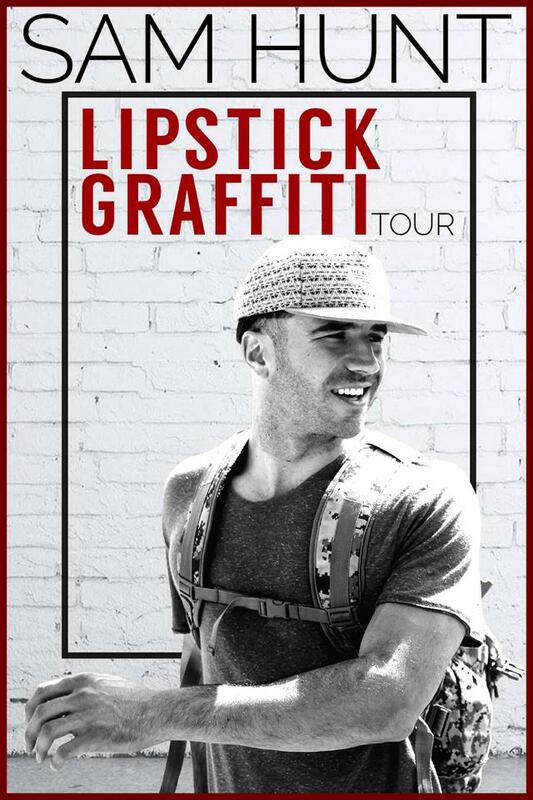 Check out the full list of “Lipstick Graffiti” Tour dates below. Sam is bringing fellow country artists Michael Ray and Native Run along for the ride. Watch Sam Hunt perform his new single “Take You Time” live at the Best Buy Theater in NYC on the Up In Smoke Tour. Pick up a copy of Sam Hunt’s debut album “Montevallo” on iTunes or Amazon now so you can sing along on tour! Follow Sam Hunt and Secret Fangirls on Twitter. Canadian Vine sensation turned pop star Shawn Mendes just announced his very first headlining tour! He’s been conquering the music world with his vocal abilities and the connection he has with his fans, and just wrapped up a summer tour with Austin Mahone. We’ll admit Shawn is using the word “tour” very loosely for this short three date outing, but we’re very excited to hear his new music. Shawn’s debut EP shot straight to the #1 spot on the iTunes charts within hours of its release. He will also be playing new music at each show, as he is working on his upcoming debut album. Check out the dates below! Tickets go on sale this Saturday, September 27th at 12PM Local Time. Make sure to be ready to go before they go on sale (read our Fangirl Handbook for ticket buying tips!) 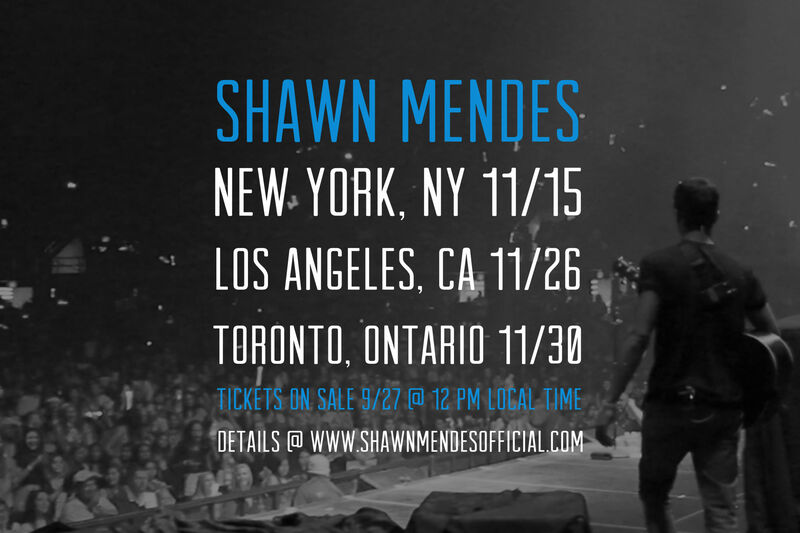 – the first 50 ticket buyers at each show will get a meet and greet with Shawn! First 50 fans to buy tickets on Saturday in each city will get a free meet & greet ! So make sure to be ready when tix go on sale at noon ! Watch Shawn perform his hit single “Life Of The Party” live at Arthur Ashe Kids Day 2014! Grab a copy of Shawn’s debut EP on iTunes and Amazon now. Follow Shawn Mendes and Secret Fangirls on Twitter for the latest on your favorite emerging artists. On the heels of previewing their debut album art work (psst…it’s on the tour poster above), American Authors announced today that they will be going on a short headlining tour this spring with Wild Cub! Exclusive Fan Club Pre-Sale: WED 2/5 at 10 am local time HERE. Public On-Sale FRI 2/7. Check out the opening band, Wild Cub on Twitter, Instagram, and Facebook. Don’t forget to follow American Authors on Twitter and Instagram.